But how exactly do you manage a deep bedding system? your deep bedding system like you would think of a compost pile. sufficient when refreshing the litter. 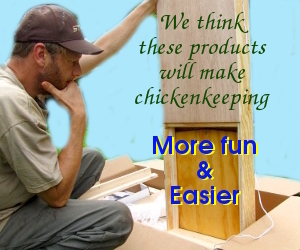 don’t get leakage on the floor, and provide ventilation in your coop. deep bedding system has amounted to about five minutes per week. I’ve been using an old fire poker to turn the bedding every couple of days which cuts down on the need for new litter even more. What’s really cool is turning the litter and not finding any poop in there… just some grey dust. I still add shavings to the solid surfaces (top of nest boxes, window sill) several times a week. The chickens eventually knock the shavings & poop onto the floor, keeping the surfaces much cleaner than before. I like your idea of adding shavings to solid surfaces to cut down the poop even more! Great addition to an already great system.